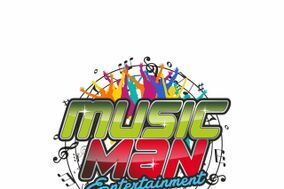 Music Man Entertainment was professional and flexible. They arrived on time to the wedding, for which they played the ceremony, cocktail hour, and reception. They accommodated all of requests for music, insisting that I make my wedding my own and to be original. Even when I made a decision at a meeting and changed my mind later, they were supportive and made any changes I asked for. Given that I had many kids at my wedding, I especially appreciated that Music Man Entertainment only plays the clean versions of music. When dancing was slow, the DJ was willing to step out on the dance floor himself and encourage everyone to join. Music Man Entertainment was the first DJ I met with, and I knew I did not need to look for anyone else even after just our first meeting together. Thank You! It was a pleasure to be a part of your event! We are glad you and all of your guest had a great time! Troy was great to work with. He was patient when I was indecisive about what I wanted and he helped to guide me. I recommend using him for your wedding! Troy was wonderful to work with. He was extremely prompt and very responsive to all my questions. He kept our reception flowing with ease. Would definitely use him again and would recommend to anyone! Thank you Carrie, it was our pleasure to be a part of your beautiful day! Troy was fantastic! I got a lot of complements towards him. He was so kind even when we kept switching our song choices. Very flexible and took the time to drive out to me for a meeting. We used Music Man Entertainment for our fall dance and they did a great job. The music was current and was appropriate for our age level. We loved Music Man Entertainment.!! Thank You! We were truly blessed that you chose us to be a part of your beautiful day! Absolutely one of the best vendors we could have had at our wedding! Super flexible and always responded in a timely manner. Also did so well with our crazy and unorganized reception. Really thankful to have found The Music Man!! Troy and crew with Music Man Entertainment were wonderful to work with. They were affordable, prompt, and incredibly easy to work with! They provided the music for a radio station party and our listeners had an absolute blast! They were friendly and fun! We plan on using them whenever we get the chance! Mike was instrumental in planning our timeline for the day of. We looked to him and his expertise for how our wedding should run. He suggested and guided while also remaining incredibly flexible about our wants and needs. Our wedding took place at the Old Daley Inn at Crooked Lake, which Mike was very familiar with and it showed. Our ceremony music was accurate and at the perfect volume. The microphone used during the ceremony worked flawlessly and our guests said they could hear everything that was said. The music Mike chose to play at the reception fit the mood of the room and had everyone dancing all night long. He was incredibly personable, kind, and easygoing. If we could give him 10 stars, we WOULD! They were absolutely awesome!!!! Worked with our budget and made sure everyone had a good time. Would use again and will for sure recommend!! They are amazing! Would highly recommend to everyone! Great music and awesome light show! Very helpful with planning too! Josh provided the perfect music and set up for my small outdoor wedding. He was very professional. I would recommend him for any DJ services. Give Troy a call! He is a great guy and did such a great job with the party! He communicates timely and is very easy to work with! You won't be disappointed! You did an excellent job. Great selection of music and volume control was perfect. Our people were very complimentary about the dance music as well as being able to carry on a conversation. I would highly recommend you to any group and your price is more than fair. Thank you for a great evening!! Thank you! It was a pleasure to be a part of Marion High School Class of 1965's 70th birthday party. Great music selection!!! Great lighting!! Karaoke!!! Great for kids and adults!!!! Josh & Troy do a great job. My daughter absolutely loved all the lights/smoke machine and most of all that she got to pick the music & the djs listened to what she wanted! I will recommend them to ANYONE needing a Great DJ! I highly recommend Music Man Entertainment. My only complaint is that I had provided a list of 20+ song requests (ahead of time) and very few of them were actually played.